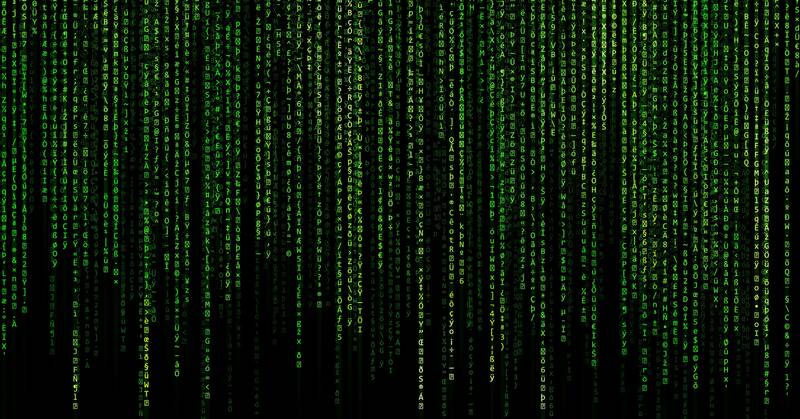 GREENGROUND IT - ‘The Matrix’ Code Came From Sushi Recipes—but Which? ‘The Matrix’ Code Came From Sushi Recipes—but Which? Do you see it when you close your eyes? Does it show up in your dreams? Odds are, if you saw The Matrix in 1999 or any time thereafter, the image of green characters cascading down a black screen is cemented in your mind’s eye. Despite the fact that it’s in a movie with one iconic scene after the next, the tumbling green code is one of the film’s most enduring images—and gives The Matrix the distinction of having one of the few title sequences in history one could call “brilliant.” (I will apologize for nothing, George Lucas.) It looked cool and it summed up the question at the core of Wachowskis’ masterpiece: What if none of this is real? What if it’s all been programmed? The Matrix‘s Red Pill or Blue Pill—Which Is Better? As the months and years went on, and The Matrix got picked apart, folks began to wonder where the movie’s now-famous “digital rain” came from. The answer turned out to be far more fascinating than any of the film’s mysteries. The code, as CNET reported in 2017, was, in fact, just a bunch of sushi recipes. Simon Whiteley is a production designer at Animal Logic in Australia, but he’s best known as The Man Behind the Code. He says he ended up working on the digital rain after Lana and Lilly Wachowski vetoed a previous sequence that a design team working on The Matrix had created. That is weird, sure, but what is even weirder, in my opinion, is that no one has tried to actually make the sushi recipes embedded in The Matrix‘s opening credits. Whiteley says his wife still has the recipe book that inspired the digital rain, even if it is beginning to fall apart. Yet when asked to share the cooking instructions, he politely declines. “I’ve been kind of not wanting to tell anyone what the recipe book is, partly because that’s the last bit of magic,” says Whiteley. Whiteley also says Japanese speakers won’t be able to lift the recipe straight from the movie because the digital rain is written in code. Moreover, he says, sushi recipes are usually written in hiragana and kanji, which are syllabic and logographic characters, respectively. The Matrix code, on the other hand, is stylized as katakana, which are syllabic characters used for spelling foreign words.